When In France: We Eat Sweets..
Bonjour..! --> Did I spelled it right? France is one of the country that I am dying to visit. I think its exposure on romantic movies had given me determination to visit that beautiful exotic romantic country. Not just in romance, France is also well known for their expertise in cooking. 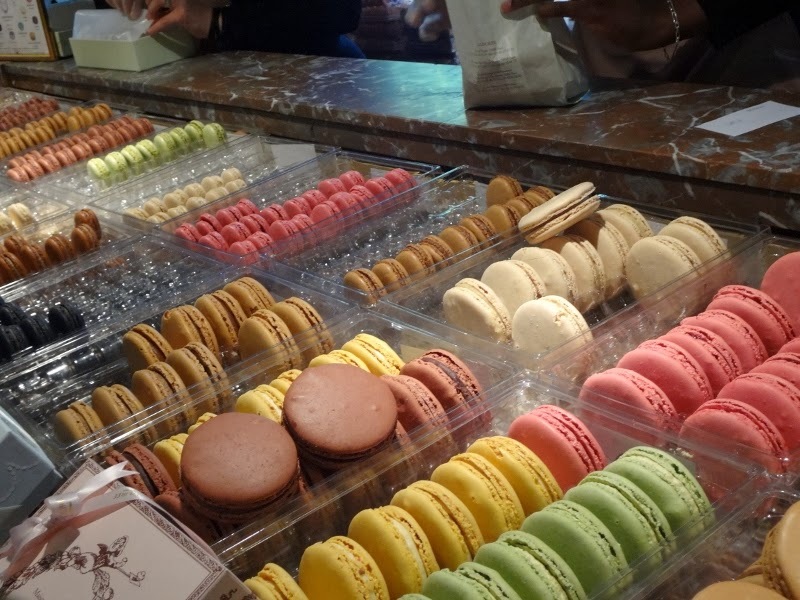 The simple yet sophisticated France food. The desserts however, have a very high level of art. It's beautiful, tempting, yet so tasteful. On the beginning of September 2013, I had the chance to visit France.. Yeyy.. One of my travelling dream had come true.. 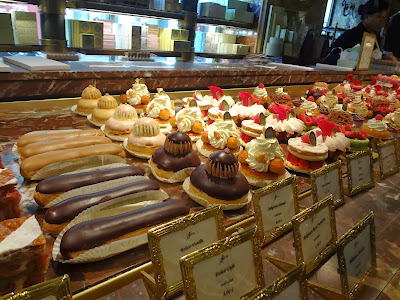 So, I decided to do the very last thing that people usually do while in France.. EAT..! I visited one of the very famous patisserie called "Laduree" which is highly known for their high quality desserts. 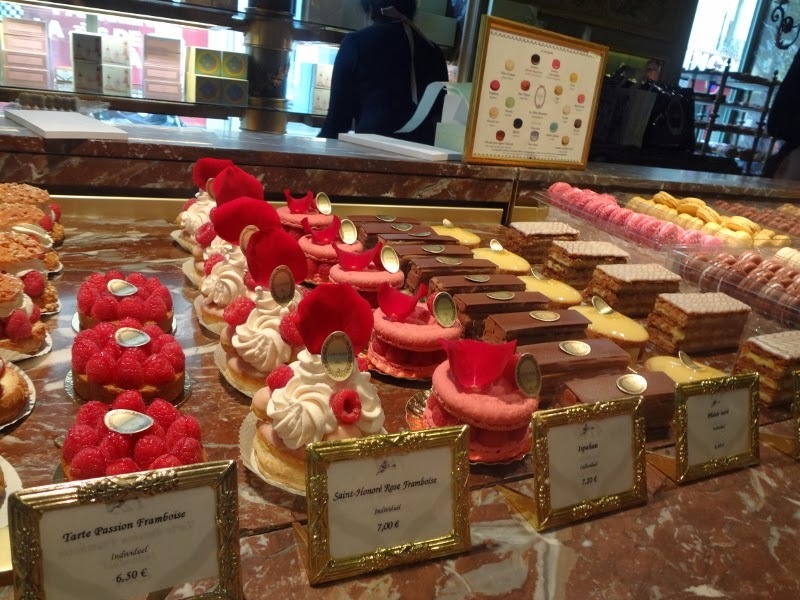 I was so happy being able to find the store while walking in the busy street of Champ Elysees. 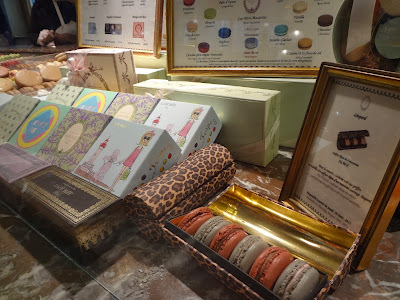 The green and gold theme of "Laduree" is so sophisticated that it does not only catches my eyes, but it also catches my heart. Luxury decorations. I love GLAM..! The theme of their store is so luxury and beautiful. I can't imagine how much effort they do each day to make the beautiful decorating. Macaroon Boxes at its best..
Beautiful boxes. I really want to collect them all. This is not only boxes of chocolate. But it is a decorative box that we can buy to put out beautiful Macaroons. Do you know what these boxes reminded me of? Eye shadow palette..! Chocolate, Vanilla, Oranges, or Strawberries? You name it..! The desserts that Laduree provides varied. 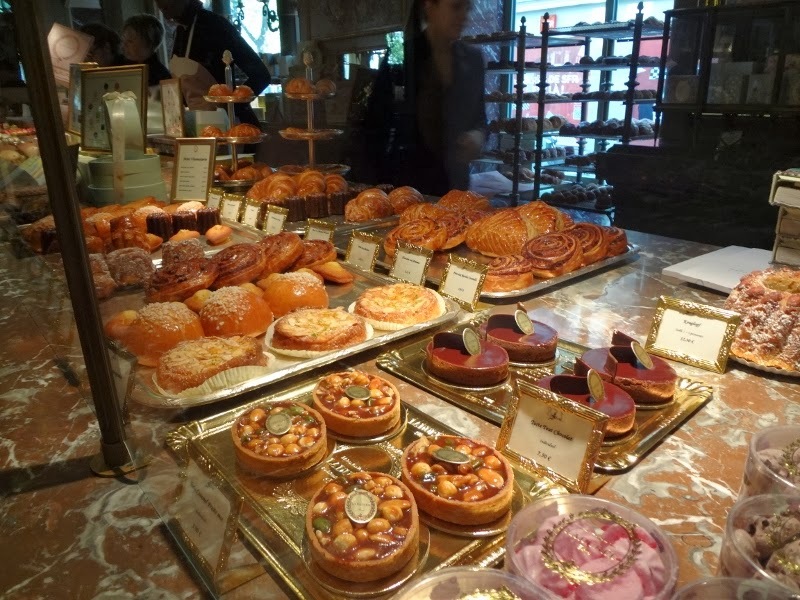 We can find a very wide range of French Desserts, from the classic Croissant, to the adorable Macaroon.. I felt like in an instant heaven. Can you imagine the fresh baked smell when entering the store? It's heaven..! I have a very sweet tooth. And my eyes is very visual in colors. I love eye catching colors that looks very cute yet tempting. 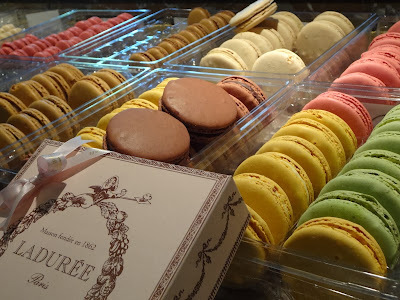 So it's so obvious that I adore the macaroons that they have in Laduree. 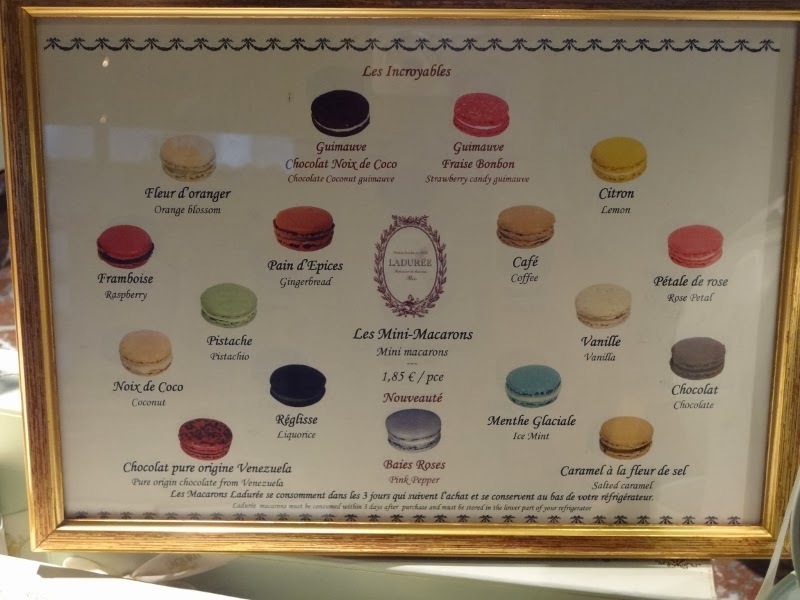 The macaroons comes in different sizes. It also comes in a wide variety of unique flavors. Looking at the macaroons on the cabinet makes me want to just eat them all at once..! 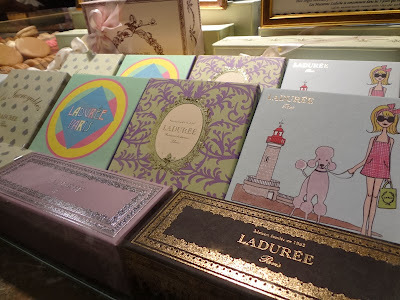 Laduree is just like a heaven in earth. Especially for those who adore foods and appreciate art. French culinary arts is just at it's best. I hope I can visit Paris again one day..